1. Make sure your graphics card meets the minimum requirements. 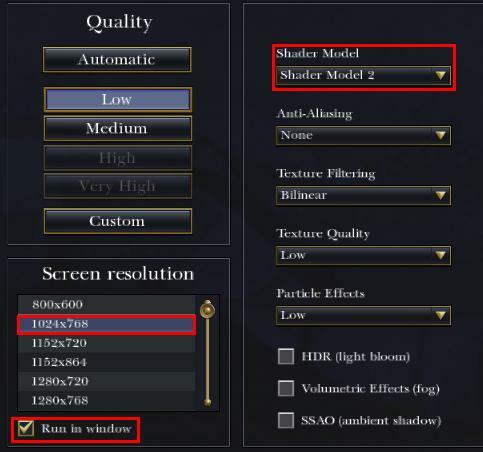 Empire: Total War requires a minimum of a 256MB Graphics Card with Shader Model 2. If you are unsure that you computer meets the requirements please contact your PCs manufacturer directly for further confirmation. What are drivers? How do I update them? - Click on tick symbol to confirm changes. Try entering a battle map again. - Click on 1024x768 (when prompted accept the new resolution). After changing the settings run the battle map again. 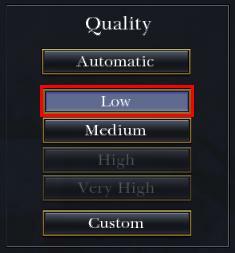 If it appears smoother, go back into the graphics settings (you will need to do this by exiting the map and entering the Graphics Settings as outlined above) and one at a time increase the details till you find a satisfactory playing level. Notice for laptop users: the majority of laptops are designed to be as light and portable as possible. This means that the hardware may not always be optimised for playing games. You may need to adjust your video settings accordingly.